Medaglia d’Oro is a rare sire who has been a standout in both hemispheres. In Australia, he has been represented by such as Champion Two-Year-Old Vancouver; group one winning sprinter Astern; and group scorers, Nostradamus, Durendal, Java, Shards, Veladero and Tessera. Among his stars in the Northern Hemisphere are the immortal Rachel Alexandra; Champion Two-Year-Old and Three-Year-Old Filly Songbird; Passion For Gold, Champion Two-Year-Old Colt in France; and other group one winners Marketing Mix, Mshawish, Plum Pretty, Gabby’s Golden Gal, Champagne d’Oro, Coffee Clique, Violence, Lochte, C.S. Silk, New Money Honey and Warrior’s Reward. Champion Thoroughbreds’ Medaglia d’Oro colt is from a classic producing branch of the premier family in modern breeding in Australia and New Zealand, that of the legendary Eight Carat. The dam, Veneers – a daughter of Champion Sprinter Stravinsky – is half-sister to Capital Diamond who placed in the New Zealand 1,000 Guineas (gr. I), and who is dam of current WRC Wakefield Challenge Stakes (gr. III) scorer, Gift of Power. 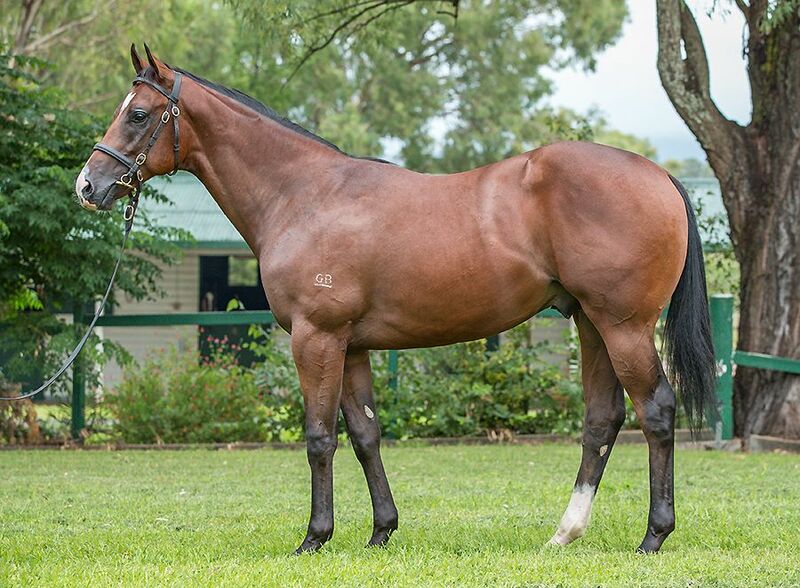 This colt’s granddam, the Zabeel mare, Diamond Smile, is a sister to Australian Derby (gr. I) hero, Don Eduardo, and three-quarters sister to Tristalove, who took the AJC Sires’ Produce Stakes (gr. I) and Australasian Oaks (gr. I), and is dam of grade one winner Viking Ruler, group winners, Lovetrista and Kempinsky, and stakes winner Diamond Like, and granddam of STC Rosehill Guineas (gr. I) victor De Beers, and graded stakes winners Forever Loved and Zephyron; to multiple group winner Peruzzi, the dam of stakes winner Lucida; and to stakes winner Antwerp, the dam of Viscount, Champion Two-Year-Old and Champion Three-Year-Old Colt. Diamond Smile, Don Eduardo, Tristalove, Peruzzi and Antwerp are all by Zabeel or his sire, Sir Tristram out of this colt’s third dam, Eight Carat’s grade one winning daughter, Diamond Lover. However, Diamond Smile is also a three-quarters sister to Champion Octagonal, to three-time grade one winner Mouawad, to and to grade one winners Kaapstad and Marquise. Diamond Lover is also a half-sister to Cotehele House, the dam of Danewin and Commands. Medaglia d’Oro is a grandson of Sadler’s Wells, and this colt is out of a mare that is inbred to Sadler’s Wells’ three-quarters brother, Nureyev. Bringing together Sadler’s Wells and Nureyev has proved very successful for Medaglia d’Oro, appearing in 13 of his stakes winners, including grade one scorers Gabby’s Golden Gal and Lochte. We should also note that this colt is complete free of Danehill. Combined with the fact that 13 individual colts from the Eight Carat family have sired nearly 250 stakes winners, and 40 grade one winners, this could potentially give him exceptional value as a stallion prospect.